Westfield Old Orchard has Mother’s Day gift ideas, galore! Mother’s Day will be here sooner than you think. 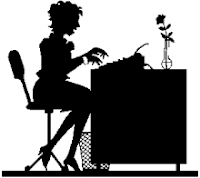 So, it’s time to put pen to paper and come up with your list of what to get mom this year. No ideas yet? Don’t fret; Westfield Old Orchard has everything you’ll want to add to your list for mom, from the gadget-seeker to the trend-setter, and everything in between. 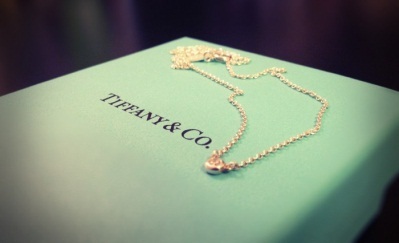 Diamonds are a mom’s best friend, and what better way to say “thanks” to mom than with a little sparkle from Westfield’s Tiffany & Co.? 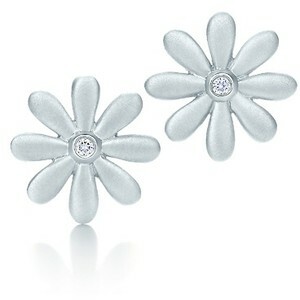 For the gift giver on a budget, Tiffany’s sterling silver Daisy earrings will put a smile on mom’s face for only $225. If money is no object, make mom gasp with the Elsa Peretti® Diamonds by the Yard® bracelet in 18k rose gold for $2,350. If jewelry is not mom’s forte and she’s a techy at heart, head to Westfield Old Orchard’s Apple store and pick up the new iPad with crystal clear display and ultrafast 4G LTE speed starting at $499. You can even personalize it just for mom with more than 200,000 additional apps. 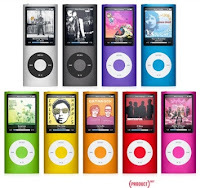 If you are more budget conscious, Apple still has you in mind by offering iPods starting at $49 or an iTunes gift card for mom to store or purchase her favorite tunes. Finally for the mom whose calling is fashion, beauty and trends, one of the many Westfield specialty retailers will definitely make mom’s heart go atwitter. 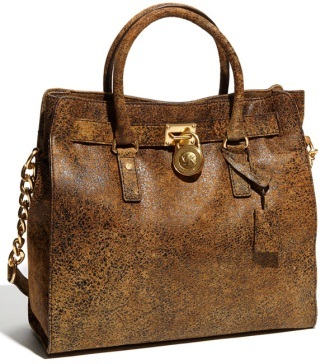 Take her on a shopping spree to luxury retailers Bloomingdale’s or Nordstrom for the latest and greatest in designer clothes, shoes and handbags, like the MICHAEL Michael Kors “Hamilton- Large” Tote in Mocha Ostrich for $368. If your mom is young at heart, she’ll be up on the biggest spring trends, like floral prints, pastels, and bold accessories. All of which can be nabbed at up-to-the-minute Westfield retailers like Akira or Anthropologie. She’ll love the Racer Day Dress from Anthropologie for only $248! Finally for the beauty maven mom, prepare her for an evening of rest and relaxation with a facial and massage at Westfield’s Mario Tricoci and a new pair of pj’s from Soma Intimates, Victoria’s Secret, or J. Crew. 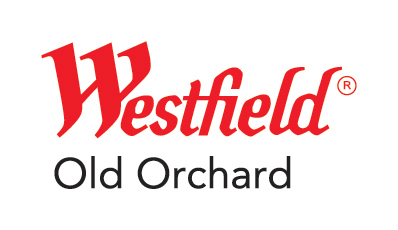 For more information on Westfield Old Orchard retailers, visit www.westfield.com/oldorchard. Henri Bendel is opening May 4. 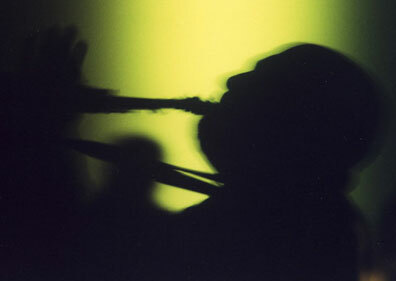 Come take part in the opening soirée 6-9 pm. Enjoy a champagne toast and take home some fun or glamorous photos provided by the digital photo booth. All opening weekend long, while supplies lasts, guests will receive a limited edition Henri Bendel tote bag with a purchase of $150 or more, and a 20% off Splurge Card with any purchase. Shoppers can also enter to win a 2-night say that the Surrey Hotel in New York City and a $2500 Henri Bendel Shopping Spree. 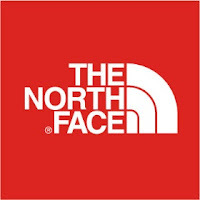 The new store will occupy 2,352 square feet near Lord & Taylor. This will be the second location in the Chicagoland area. 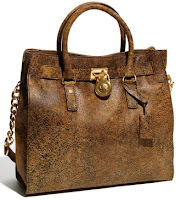 Known for its lavish and trendy fashion accessories, handbags and cosmetics, Henri Bendel is a highly anticipated treat for all of Chicagoland’s fashion savvy! Three additional new retailers will join the ranks of the many upscale specialty stores located at Westfield Old Orchard., C.D. Peacock and The North Face will be opening in August, and Rolex will be opening in October. Luxury jewelry specialist C.D. Peacock, known for its beautiful and timeless creations, is making a grand entrance in Westfield Old Orchard! The luxury Chicago-based jeweler will offer stunning collections that are not available at any other Westfield Old Orchard retailer. Covetable collections like Hearts on Fire and timepieces from names like Tocari, Hermes, Panerai, Chanel, IWC, Corum, Montblanc and Henri Daussi will be exclusively available at C.D. Peacock, opening this summer. 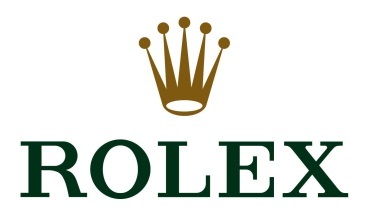 The 3,500 square foot store will be located next to Nordstrom and Tiffany & Co.
As an added bonus for luxury timepiece shoppers, Rolex will be opening a boutique operated by C.D. Peacock located next to Tiffany & Co. The world renowned timepiece crafter will be setting up shop in Westfield Old Orchard this fall. Brooks Brothers is open in a new location next to Wilde & Greene and Barnes & Noble. This beautiful, new flagship store is definitely a must-see for the dapper suburban gentlemen. Sticking close to its roots, Coldwater Creek is moving into a new location just south of the existing store. 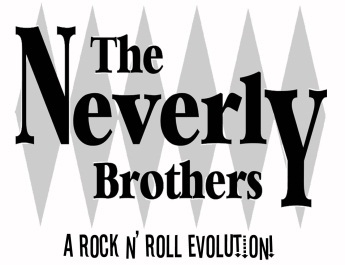 Fasten your seatbelts for a guided musical tour through rock 'n roll history with The Neverly Brothers at Francesca’s Vicinato. Live for one night only at Francesca’s Vicinato in Palos Park, mark your calendar for this can’t-miss, toe-tapping, sing-out-loud event on Friday, April 27th. The restaurant recommends that diners make dinner reservations between 7 and 7:30 p.m. After enjoying a delicious meal, diners may keep their tables for the show. After 8 p.m. the restaurant will offer general seating. For more information on The Neverly Brothers, visit their website at www.theneverlybrothers.com. Fleming’s Prime Steakhouse & Wine Bar once again delivers by introducing the new dining experience, Small Plates, Big Pours. This new special features a pairing of seven original Flemings’ Small Plates with seven oversized, Big Pour selections from the Fleming’s 100 ® wine menu for only $24.95. Diners can choose from an option of upscale bites including Sliced Filet Mignon, Shrimp Scampi Skewers, Petite Lamb Chops, Seared Ahi Tuna, New Bedford Scallops, Fillet Mignon Skewers or Lobster Tempura. Accompanying wine options include a Penley Gryhpon Merlot (Australia), a Paco& Lola Albariño (Spain), a Cline Cashmere Red Blend (California), a A to Z Wineworks Pinot Noir Oregon), a Cakebread Sauvignon Blanc (Napa Valley), a B.R. Cohn Silver Cabernet (Napa Valley) and a Silverado Chardonnay (Napa Valley). The Small Plates, Big Pours special only runs for a limited time in the Fleming's bar area at both the Chicago (25 E Ohio, 312-329-9463) and Lincolnshire (960 Milwaukee Ave, 847-793-0333) locations. 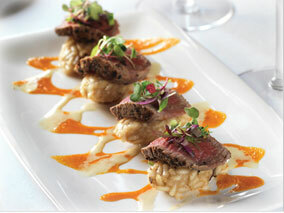 This is a can't miss opportunity to experience the delicious and upscale offerings of Fleming's at an amazing price. We hope to see you there! 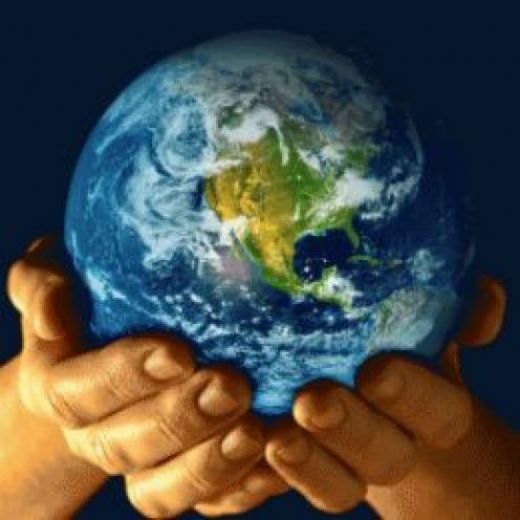 Earth Day is always very meaningful at Elate and this year, on Sunday, April 22, Chef Michael Noll will feature complimentary tastings of his special Green City Market Gazpacho. Full portions of the GCM Gazpacho may be purchased for $9. Also special for the day is the Elate Ginger Fixx TREEtini with Veev Acai spirit and Ginger Beer for $8 (the normal price is $12). 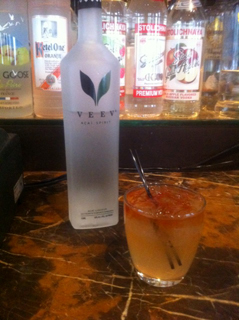 For every cocktail sold, a tree is planted through Live It Green. 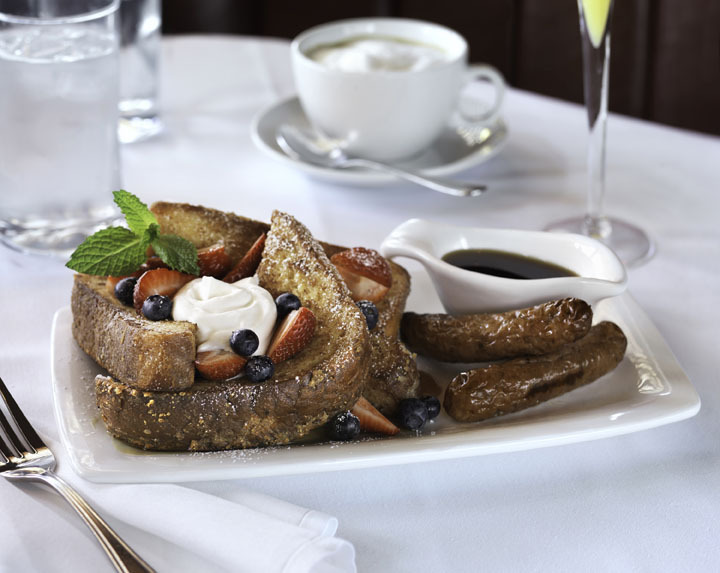 The first 40 guests ordering a TREEtini will receive a complimentary Acai Berry Bracelet. Other complimentary gifts will be available while supplies last. If you want to try the Ginger TREEtini at home, the recipe includes 1 1/2 oz. VeeV Acai spirit, 2 oz. Ginger Beer, Splash of Lime Juice, Touch of Simple Syrup, and garnish with bitters. Mix the ingredients over ice and serve on the rocks or up as you prefer. 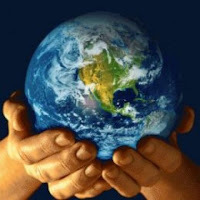 Parking is complimentary for earth friendly guests who drive hybrid vehicles. 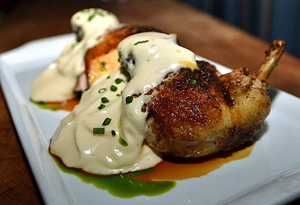 ELATE, 111 West Huron, Chicago, Illinois 60654, 312-202-9900, ElateChicago.com Elate’s menus offer organic wine, spirits and fare and the restaurant composts, recycles, and purchases as much local product as possible. The interior features reclaimed wood tables and flooring, high efficiency lighting, eco-friendly paint and 80% recycled drywall. Elate Executive Chef Michael Noll continues to delight diners with an evolving contemporary American menu that features mostly organic and locally produced ingredients. The new spring dinner menu puts a bit more emphasis on the small plates, which have been very popular. New small plate creations include Grilled Octopus (photo left) with shishito peppers, toasted peanut, radish and sourdough, Rushing Water Trout with fettucini, fava beans, corn pudding and roasted red pepper ($15), and a new soup, Chilled Spring Pea Puree with goat cheese Arincini, elephant garlic, crème fraîche and mint ($14). A delicious new entrée is the Amish Chicken (photo left), with tasso roulade, San Simon fondue, corn bread, pickled okra ($24). 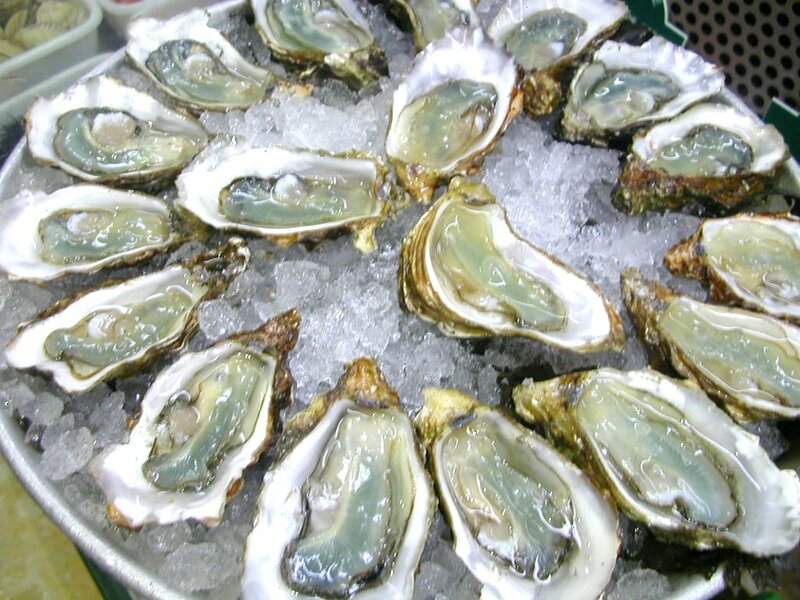 Don't forget, every Wednesday is $1 Oyster Day at Elate, from 5 p.m. to 10 p.m. All fresh oysters on the menu are available for the special low, low price of $1. Whether your beer of choice is a pilsner or pale ale, Lagunitas Brewery is sure to make you a believer in their brews. 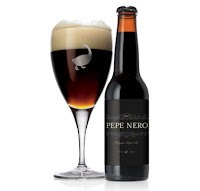 Come out on Wednesday, April 18th and enjoy 5 beer selections paired with a menu handcrafted by Chef Sergio Lopez of Francesca’s al Lago. Tickets are $50 per person, excluding tax and gratuity. Reservations are required and sure to sell out quickly. The evening begins with Insalata di Spinaci e Pistacchio, spinach, radicchio, watercress, and pistachio in honey champagne vinaigrette, paired with PILS, Czech Style Pilsner. This is followed by Carpaccio di Mele, apple Carpaccio with brie cheese and cracked black pepper drizzled with a balsamic glaze. It is a perfect pair for IPA, India Pale Ale. The third course features Tagliatelle con Cozze, homemade pasta sautéed with mussels, slow roasted tomatoes, sliced shallots, garlic and extra virgin olive oil. An American Brown Ale, Wilco Tango Foxtrot, makes the perfect companion. Next is Branzino e salsa d’ Aragosta, roasted sea bass with grilled asparagus in tarragon lobster cream sauce, paired with Hop Stoopid Ale, Pale Ale. The meal finishes with Savoiardi con Cioccolata Fondente, lady fingers soaked in Cappuccino Stout with dark chocolate, topped with strawberry compote, and is paired with Cappuccino Stout, Big and dark Stout. Button, shiitake, oyster, wild, portobello, cremini, enoki, beech… with so many mushroom varieties to choose from how will you select just one to top your list for National Mushroom Day on Monday, April 16th? Celebrate the day of the mushroom with Francesca’s Restaurants and we’ll point you in the right direction with the Pasta Funghetto. 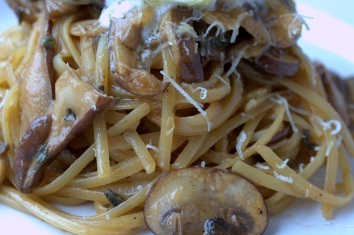 Featuring the porcini and wild mushrooms, tossed with perfectly al dente pasta, mascarpone cheese, white truffle oil, fresh oregano and brandy-veal sauce to create a rich, decadent pasta dish that will make you a believer. Available for $10.99 at all Francesca’s restaurant locations for lunch & dinner on Monday, April 16th. 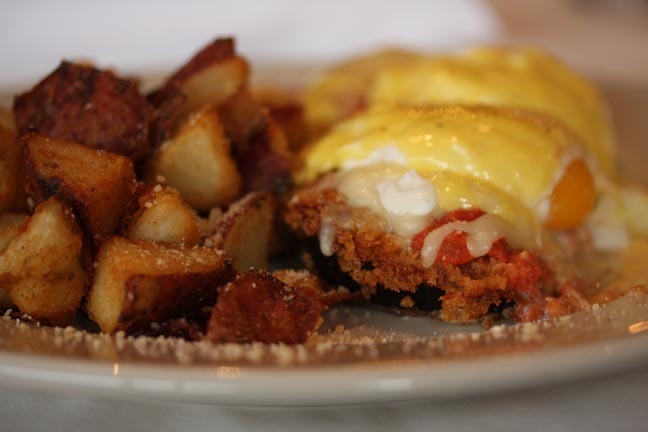 Bacon Makes Everything Better… Baconfest & Francesca’s Forno! 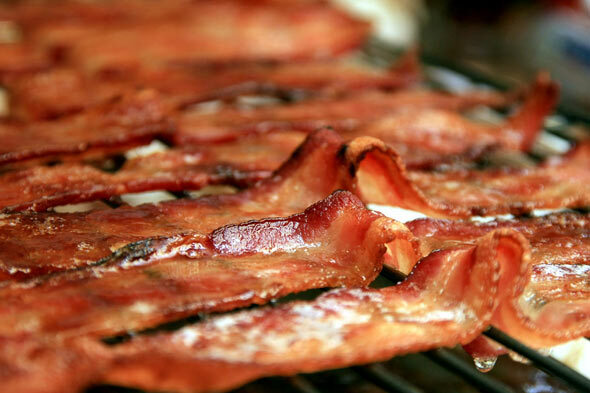 Chicago’s hottest ticket in town is Baconfest on April 14th. 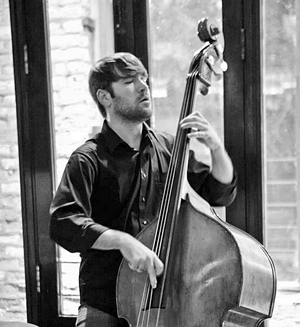 If you weren’t lucky enough to snag a ticket (they’ve been sold out for weeks), get in on the fun at Francesca’s Forno. In conjunction with the event, they’ll be featuring their Baconfest creation in-house for restaurant guests on Saturday, April 14th… Yes, the same creation to which only Baconfest ticket holders are privy. 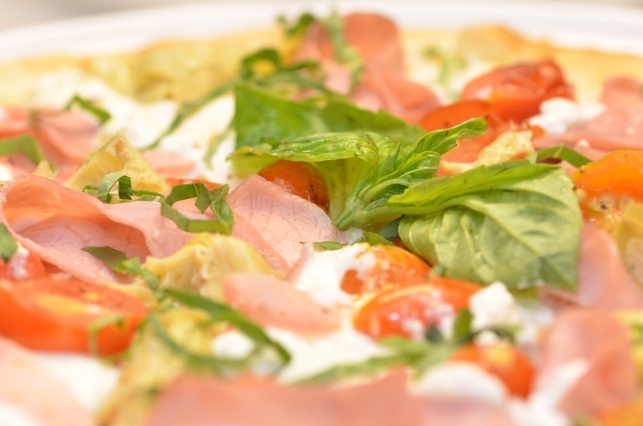 Get your bacon-fix at Francesca’s Forno! Uncle Sam’s annual day of reckoning is upon us…. (drum roll please) TAX DAY. If April 15th is a day to celebrate in your household, chances are you are receiving a tax refund; but if you owe, the tone is surely not so upbeat. Whether you are drowning your sorrows or toasting to your own financial windfall, we have an event for you. 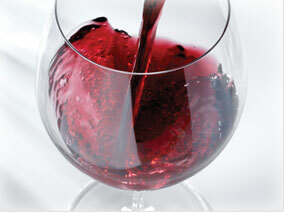 “Uncle Sam meet Auntie Vino” is a 4-course wine dinner hosted by Francesca’s Bryn Mawr. Guest speaker, Danny Kleiman, of Heritage Wines takes you through a guided tour of Italian wine varietals paired with an innovative Francesca’s menu. $48 plus tax & gratuity, reservations required. The evening begins with Citrus House cured Salmon with shaved fennel and extra virgin olive oil. This is paired with Voveti Prosecco DOC. Following this is English pea filled ravioli, soft poached hen egg, in a parmesan broth with browned butter asparagus, paired with Inama Soave Classico 2010. The next course features Prosciutto wrapped seared ahi tuna with braised pork cheeks, morels, and spring onions. The Endrizzi Teroldego 2009 wine pairs perfectly with this course. The dinner ends with Grilled lamb chop with sweet garlic puree, petit spring vegetables, anise scented lamb au jus. Tenuta Sant’ Antonio Valpolicella Ripasso Monti Garbi 2008 is paired with this course. 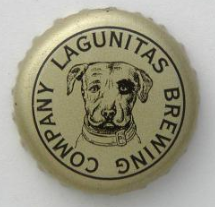 Whether your beer of choice is a pilsner or pale ale, Lagunitas Brewery is sure to make you a believer in their brews. Enjoy 5 beer selections expertly paired with Francesca’s food. Tickets are $45 per person, excluding tax and gratuity. Reservations are required. The beer dinner begins with Carpaccio di Cernia con Finnocchietto Selvatico e Pompelmo, grouper “Crudo” with shaved fennel, grapefruit sea salt, extra virgin olive oil. Lagunitas crispy wheat and pale malt A Little Sumpin’, makes the perfect companion. This is followed by Gambetta di Pollo al Rosmarino, citrus marinated chicken thighs pan seared in rosemary and chiles oil, paired with IPA, India Pale Ale. The third course features Agnolotti con Funghetti, homemade pasta filled with Prosciutto, caramelized onion in a mushroom sauce and Parmigiano. It is a perfect pair for Wilco Imperial, brown Ale. Next is Pesce Bianco Delicato con Faglioni, roasted Lake Superior Whitefish, French Beans, lemon-butter sauce, paired with New Dogtown, Super premium Pale Ale. The meal finishes Mousse di Cioccolato, chocolate Pot au Cream, and is paired with The Censored, rich Copper Ale. 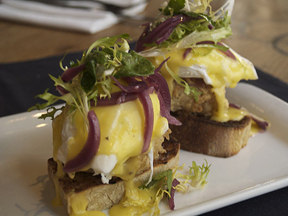 Reeling from a nomination by Time Out Chicago for “Best New Bar in 2012”, Di Sotto Enoteca steps up their game and adds gourmet Italian desserts and premium Intelligentsia coffee to their already well-respected small plates menu. 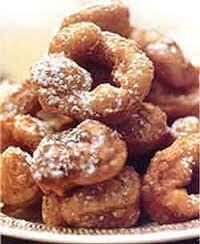 Dessert selections include handmade truffles, lemon-ricotta fritters and zeppoles. These light and doughy Italian doughnuts are filled with decadent cheesecake or dark chocolate. Served alongside French press Intelligentsia coffee and “black cat” espresso, the desserts at Di Sotto Enoteca make the perfect after dinner treat. Check out the full menu at www.disottoenoteca.com & indulge your sweet side with a visit. Head to Prairie Grass Cafe (601 Skokie Blvd., Northbrook; 847-579-1240) tonight (and this weekend) for the First of the season Columbia River wild Alaskan King salmon with first of the season Klug Farm Asparagus, broken mustard herb vinaigrette $43. Millions of years of evolution have gone into creating the world’s most flavorful fish, the wild Columbia River King Salmon. With an oil content as high as 22 percent it even out ranks its popular cousin from the Alaskan Copper River which weighs in with an oil content reaching only 18 percent. Since salmon don’t feed once they reach fresh water they’ll spend their lives in the ocean building up energy reserves in the form of oil which is intended to sustain their treacherous journey back upstream to the spawning grounds from which their life began. The spring-run salmon which navigate the powerful waters of the Columbia River basin will be up against over 2000 miles of waterways. By comparison the Copper River salmon have a steep 300 mile journey. These massive oil reserves required for this long journey is what gives the Columbia River King its amazing flavor. Also known as the Chinook Salmon, the Columbia River King salmon have played a major role in the livelihood of the Pacific Northwest Chinook Indians as not only a major source of food but also a spiritual and economic resource as well. The Chinook tribe understood that catching these salmon early in their journey was essential in finding the fish at their healthiest. This also meant a maximum oil reserve ensuring the best possible flavor which made the salmon a valuable commodity. Today that practice holds true. Chicago’s restaurants have begun to enthusiastically support a new grass-roots program, Healthy Fare for Kids, which asks restaurants to offer at least one healthy and delicious meal for kids on their menu. Having started in the 43rd Ward of Chicago (Lincoln Park Area) in December, 2011, Healthy Fare for Kids is now launching a citywide push to recruit restaurants throughout the Chicagoland area. Diane Schmidt, local parent and health educator, came up with the idea after her decade long experience dining out with her school age daughter. She approached Alderman Michele Smith of the 43rd Ward and Chef Sarah Stegner, the James Beard Foundation awarding winning chef and the co-owner of Prairie Grass Café in Northbrook, Illinois. The team brought in Carol Wagner, holistic nutrition specialist, to help in developing nutritional guidelines for the chefs. Since its launch, more than 35 restaurants have pledged to create healthier menu options for kids. Schmidt described why she got the idea for Healthy Fare for Kids. "I got sick of the same kids’ menu in so many restaurants and wondered why the worst food in the restaurants always ended up on the kids’ menu," she said. "We know the drill—mac and cheese, chicken fingers, hamburgers, hot dogs and piles of French fries, paired with pop and dessert. It is a nightmare for families trying to feed their kids well." Today, families spend more than 50 percent of their food dollars eating out. In addition, kids eat 50 percent more calories at restaurants than they do at home. 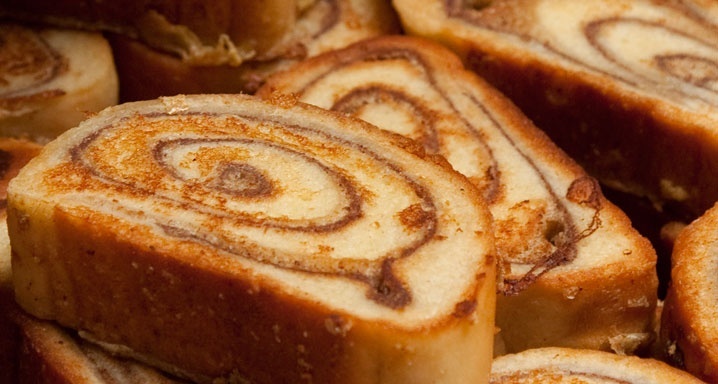 Numerous studies link eating out with obesity and other related conditions. Obesity rates have increased dramatically among all age groups since 1970, more than quadrupling among children ages 6 to 11. Today more than 23 million children and teens in the United States—nearly one in three young people—are overweight or obese. "The increase in childhood obesity is one of the reasons we’ve launched the program," said Schmidt. "Since many families visit restaurants often, it is important that restaurants across Chicagoland offer something for kids that tastes really good but is also fresh and healthy. We hope that many, many restaurants will join this program—every restaurant can and should make a difference." "We’re confident that the restaurant community as a whole will embrace this program and make children’s health a priority," said Stegner. "It’s simply the right thing to do and the time to do it is now." Stegner, who was one of the founding members of the popular Green City Market, has personally invited some of Chicago’s top chefs to participate in the Healthy Fare for Kids program: Alexander Brunacci, Tim Cottini, Christian Eckman, Brian Huston, Beverly Kim, Matt Moroni, Sean Sanders, Bruce Sherman, Jared Van Camp, Paul Virant and Susan Weaver, among others. She has piloted similar fare in her own restaurant and has been surprised at the great response from kids and their families. "If you put delicious, healthy food in front of kids and give them a chance, they will eat it!" she said. The Healthy Fare for Kids leaders have been thrilled at the response the program has received thus far. "I’ve been so impressed with the chefs I’ve met and their generosity and commitment to help," said Schmidt. "Almost all the restaurants I’ve approached have been enthusiastic about the idea and have asked what they can do. At Ditka’s restaurant, Executive Chef Tom Kenney sat down with me, and within two weeks had new menus." Alderman Smith is also very pleased with the successful launch of the program in the 43rd ward. "When Sarah and Diane approached me about Healthy Fare for Kids, I was more than happy to help spread the word and encourage the restaurants in our ward to get involved," she said. "It’s even more gratifying to know that we spearheaded the effort and that the program will now expand to the rest of Chicago." The leaders understand that it takes a lot of time and resources to change a menu and so they are extremely appreciative of the efforts these restaurants have made. Nookies, for example, has overhauled its children’s menu, serving antibiotic free turkey and multi-grain pancakes with fruit. "As a popular family restaurant with four locations, Nookies is a wonderful example of how restaurants can participate in Healthy Fare for Kids," said Schmidt. Other restaurants have joined in. Café Ba Ba Reeba has a new festive kids’ menu, Goose Island was the first restaurant to put out a special kids menu and offer complimentary veggies and humus to each family table along with several Healthy Fare for Kids specials. Four Farthings, which serves many neighborhood kids, also revamped its entire kids’ menu. Basil Leaf Café created a new kids menu and Zapitistas Mexican Grill is working on a new kids menu for their three restaurants. Bread, muffins, crackers or other starchy items can quickly elevate blood sugar, increasing cravings and causing kids to overeat. Limit the amount of bread or substitute it for fresh vegetables and let kids’ hunger be satisfied with the main part of the meal. Eating protein is an essential part of the diet and ensures that kids won’t feast on only starchy food. Consider a lean cut of meat or an entrée showcasing legumes: both are rich sources of protein. We highly encourage the use of lean proteins that are free of antibiotics and growth hormones. Children consume almost twice as many calories when eating food made outside the home. Children’s stomachs are about the size of their fist, so smaller portions of good food will fill them up and leave them satisfied. Choose whole grains for part of your ingredients instead of highly refined products. Whole grains are packed with nutrients and fiber. Steer away from serving fried food that is high in fat, saturated fat and calories. As well, avoid all food using trans-fat or hydrogenated fats. High sodium diets can cause a number of health challenges—even in children. Build your dish with flavor profiles that introduce children to the naturally delicious taste of healthy foods. Have kids order flat or sparkling water flavored with vegetables or fruit, even with 100% juice. Or serve non-flavored milk with dinner. Soda and concentrated fruit juice are unwelcomed guests at the dinner table. Finally, end this healthy dining experience by retooling desserts. If you want to add dessert to the meal, continue the idea of small and seasonal. Healthy Fare for Kids also emphasizes that these guidelines are good advice for at-home cooks as well. "These guidelines can be very helpful to parents in planning and serving their meals at home," said Schmidt. "Healthy eating really starts at home. I would love for parents to use these guidelines for planning their own meals. 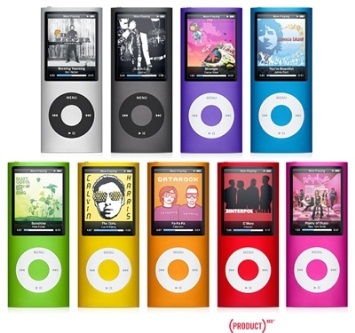 They’re straightforward and easy to use." Restaurants will continue to be added as the initiative grows. For more information on Healthy Fare for Kids, please visit www.healthyfareforkids.com for a complete and growing list of participating restaurants. The Chicago French Market continues to deliver and bring exciting news. Now, it is proud to introduce its newest vendor, Spicy Monkey Soup Co., expected to open this April. Spicy Monkey is a new and innovation soup shop that will focus on serving homemade and healthy soup and sandwich options. 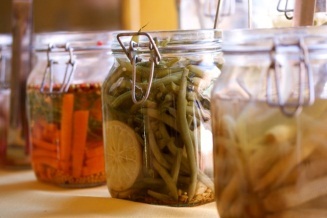 All the soups at Spicy Monkey will begin with an amazing, fresh, never frozen and delicious vegetarian stock. Its stocks is simmered to perfection then restyled into its daily variety of soups. Every day Spicy Monkey Soup will offer broth, cream and tomato based soup options. The best part about the Spicy Monkey’s homemade soups is the healthy variety of toppings. All soups can be complemented with anything from chicken breast and bacon to pinto beans and Ditalini pasta. In addition, all of its soups can be picked up for a fresh, quick lunch or pre-ordered for an easy-delicious dinner with the family. Also featured on the menu, is a large selection of grilled sandwiches. All sandwiches will be hand-made to order with meats, cheeses and breads not containing preservatives, and fresh veggies. Featured sandwiches will include Asparagus with Swiss, and Provolone and Chihuahua with Blueberry Preserves. Klay Oven Kitchen will be opening this April! The well-known Indian restaurant with locations in River North and Oak Park has opened an outpost in the French Market. The restaurant sells made-to-order bowls and wraps with organic vegetables and traditional Indian sauces and chutneys, plus freshly ground spices and brewed teas. Klay Oven Kitchen will be open beginning 7:30 a.m. To 7 p.m. Monday-Friday and 8:30 a.m. to 5:30 p.m. Saturday. The space will have seating for up to 12 guests for dine-in. Outdoor seating is now open at the Chicago French Market. Come and enjoy the lovely Chicago spring weather and nibble on delicious menu items from the many vendors at the market! 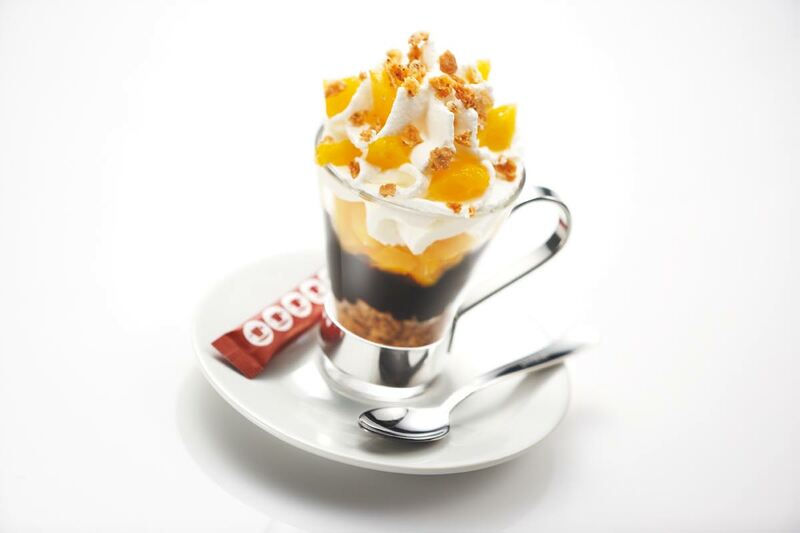 Espresso combined with Amaretto chips, decadent Italian drinking chocolate and succulent peaches, crowned with whipped cream. Purchase a Kilo of whole bean coffee through April 20, and receive a free limited edition “Falling in Love with Coffee” Tin. Receive a free espresso beverage with the purchase of a pound of whole beans every Friday in April. Lastly, due to high demand, the Gene Siskel Center will be bringing back El Bulli: Cooking in Progress for a third and final screening. Lavazza Espression will be partnering with the Gene Siskel Center to provide samples of Ferran Adrià’s Molecular cuisine at the April 26 screening of the film. Lavazza will be serving Èspesso™, a past pick among Time Magazine’s Best Inventions (2006). Chicago French Market introduces Chicago Raw Food’s new Takeaway Program, a weekly menu designed for people on-the-go. RAW’s fresh and healthy new menu items are designed to be pre-ordered and picked up during your work day, and prepared to last a minimum of 5 days. Place your orders each week by Monday before 7:30 pm and pick-up the next afternoon, or RAW can deliver to you within a 1.5 mile radius of the Chicago French Market. The Introductory price of $130 includes a selection of five breakfast and snack items, six entrees, two salads, six savories/spreads and two desserts. Featured on its new menu is a variety of items including everything from lasagna to egg salad made from coconut meat, carrot and cranberry muffins and Tiramisu. 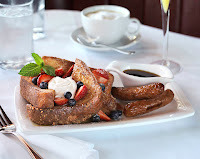 A detailed list of ingredients is provided on its web site http://chicagorawfood.com/. Also featured is a variety of dehydrated items such as signature granola and beverages like its signature green juice with collard greens, parsley, celery, lemon and ginger. The juices are served in glass bottles, as customers are encouraged to stay 'green'. They can then return the bottle for a discount off their next bottled beverage purchase (signature green Juice or velvety almond milk). Originating from the vision of a world enjoying better health, RAW strives to deliver only the highest in quality offering fully uncooked, 100% plant-based products; through the fresh daily packaging of the simple raw goodness of nutrient-rich ingredients. The healing mission of RAW is to raise awareness worldwide by educating patrons and make a change to the way people eat; changing taste buds, bodies and minds.